Seasonal slip and mooring certificates are issued on a first-come, first-serve basis, with preference given to returning boaters until February 28. Slip and mooring certificates are not automatically renewed for returning boaters. A Boat Slip & Mooring Lease Agreement must be submitted with non-refundable deposit by Columbus Day to be considered for the upcoming season. Remaining balances for seasonal slips or moorings are due no later than February 28. Failure to settle seasonal balances by the payment deadline will result in reallocation of the mooring or slip beginning March 1. Returning boaters who forfeit their seniority by default or otherwise will be considered in the same fashion as new mooring and slip applicants. TO RENEW: Submit a Seasonal Slip or Seasonal Mooring application to the Harbormaster with deposit by closing day at the Newport City Dock. Applications that do not include a full deposit, copy of current boat registration or proof of insurance will be returned. PAYMENT: Cash, check or credit/debit card payments can be submitted in person at the Newport City Dock until closing day. After closing day, applications and payments must be delivered in person or by mail to the Newport Parks & Recreation main office. 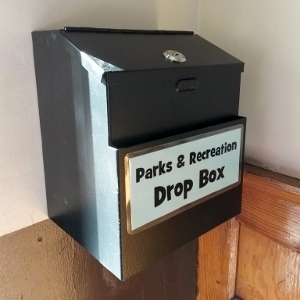 After hours, payments may be submitted using the drop box next to the Police Department dispatch window in the main entrance corridor of the Newport Municipal building. Checks payable to Newport Parks & Recreation. AFTER REGISTRATION: You will receive confirmation from the Harbormaster's office once we have received complete application and payment. During the off-season, please allow 5-7 business days for processing. Actual slip and mooring locations will not be finalized or assigned until March 30th when all vacancies have been filled. off season ​by emailing Harbormaster@NewportRecreation.org or calling the Parks & Recreation main office at (802)334-6345.